Respond quickly, within 24-48 hours. It’s important to show that you are an active participant in your business. Your customer thought it was important enough to post a public review, you should treat it as such. Keep it cordial. Take the high road and keep your response polite and civil. A sincere yet brief apology will show that you take customer complaints seriously. Offer to make it right. You can offer a free replacement or outline the steps you’re taking to fix the situation. This shows customers you’re committed to improving the experience. Be authentic as possible in your replies. Customers want to know it’s an actual human responding and not an automated bot. Be sympathetic and empathize with the customer’s complaints. Saying “I’m sorry” or “I understand” can go a long way in making a customer feel like their opinion is valid. Contact the customer offline. If you have their contact information make an effort to contact the customer to prove it’s not all for show. Offer again to make it right. Probably the most important thing to remember is to respond promptly. More than 80% of consumers believe that getting their issue resolved quickly is the most important part of a great customer service experience (Grubhub, 2018). Another thing to consider is to use proper grammar and spelling. Avoid offensive words. Avoid all caps. The customer will better understand your response and walk away with a positive experience. In the end, bad reviews are actually a good thing. They give you power as a retailer. You have an opportunity to right your wrongs. You have the chance to deliver stellar customer service publicly. (CPC Strategy, 2018) So don’t be intimidated. 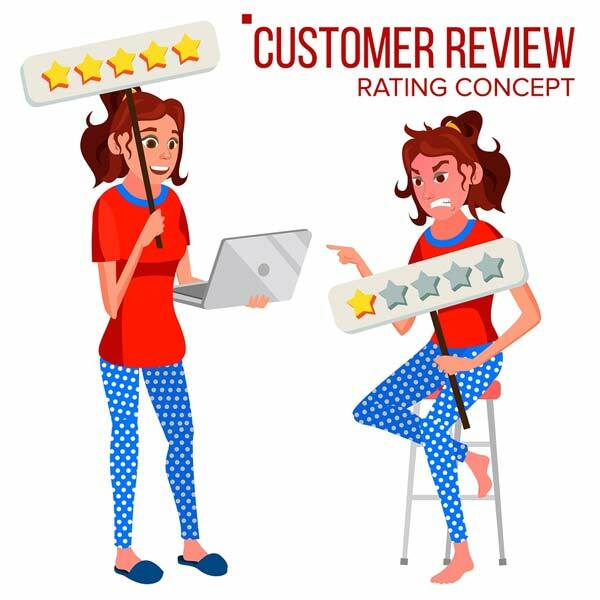 Respond to your negative reviews and win back your customers!